Social Networking is the simple act of expanding the number of people you know by meeting your friends' friends, their friends' friends and so on. In fact, many of us today use Twitter and Facebook to promote our existing and upcoming businesses. Facebook: To access Facebook.com, you must create an account on the site which is free. Its user must be at least 13 years old with valid email id. On facebook, one can browse and join networks, Pull contacts from a Web-based e-mail account, Find friends in several ways etc. Twitter: A twitter account holder can use the service to post and receive messages to a network of contacts, as opposed to send bulk email messages. You can build your network of contacts, and invite others to receive your Tweets, and can follow other members' posts. Twitter makes it easy to opt into or out of networks. Linkedin: LinkedIn is an online social network for business professionals, which is designed specifically for professional networking, to help them find a job, discover sales leads, connect with potential business partners. Unlike most of the other social networks, LinkedIn does not focus on making friends or sharing media like photos, videos and music. To start using LinkedIn you need to register and create a profile page. Friendster: It was designed as a place to connect with friends, family, colleagues and new friends over the Internet. However, it went beyond just a one-way communication. Using Friendster, you can connect with friends and family, meet new people through the connections you already have, find people with similar interests, backgrounds or geographical locations, join groups by activity, school or interest, interact through message posts, games, blogs and application sharing, and share your details with the Internet community. We provide a networking opportunity for usability professionals to meet and exchange ideas. User can view the posts which contains the data of business opportunities and looking for a jobs etc. User can get the answer to the Questions – The network consist of industry experts willing to share advice. Create Group with the collection of people with common interests and identity, Join others group to connect with others. Write Blogs and share with the friends for their comments. See activity feeds of the people who are in your network. Forum for public discussions with others. If you want then we can also facilitate with photos and video section where people can add some creative/thoughtful/professional etc. images or videos there. 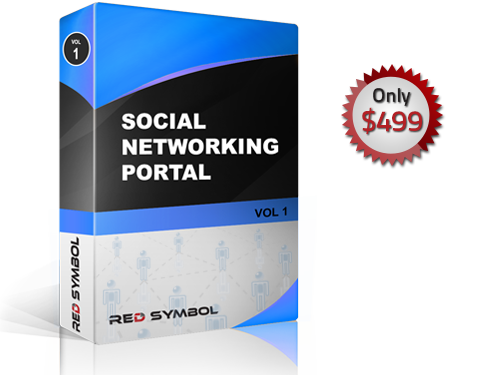 We have developed this type of social networking sites already. However, if you want to spend some more time customizing the requirement then we'd love to be able to work with you to make that happen. Why not take the script for a test drive demo today? Technologies: Core PHP, MySql, Google Ad sense, Google Map. Description: User can share the events between friends. User will be able to send private message, search event etc. Technologies: Core PHP, XHTML, MySql. Description: User will be able to add friends, search friends and groups of various categories as sports, singing, dance, modeling etc.